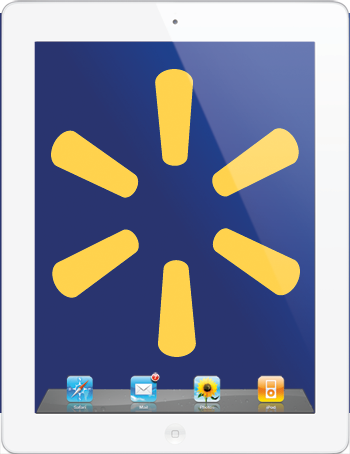 Walmart is using the iPad as a loss leader again—the retailing behemoth is selling the iPad 2 for US$299, a discount of $100 off Apple's retail price. As noted by CNet (via MacRumors), Walmart is also offering a minimum of $100 trade-in for your old iPad, meaning you could pick up that iPad 2 for $199. Of course, the original iPad is the only real device one might trade in to get the iPad 2 as an upgrade, and the original iPad sells for upwards of $160 on Ebay. Keep that in mind before handing any iPad model over for a measly $100. You can get it in-store, or with free shipping from Walmart's site. The offer is good for the next 30 days.